Kiwis are ahead of the global pack when it comes to paying for online services such as streaming and gaming. 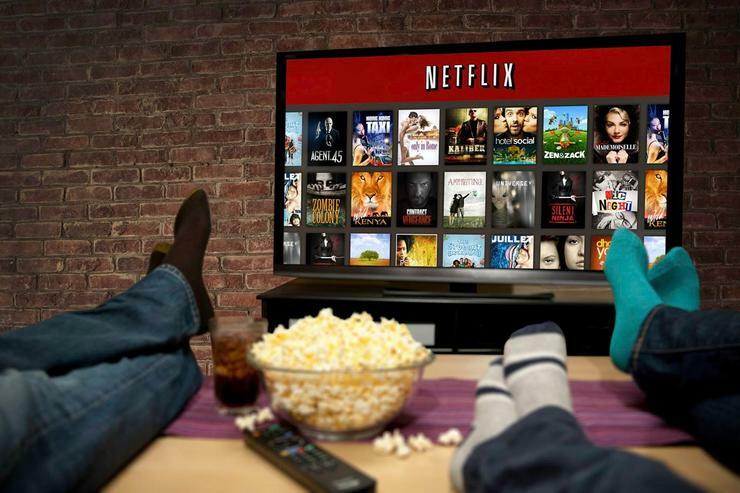 Kiwi consumers are flocking to services such as Netflix and Lightbox. New Zealanders are among the global elite when it comes to paying for premium digital services such as online music streaming, cloud services, and console gaming. The adoption of streaming services has grown strongly with 22 per cent of Kiwi consumers now saying this is their primary method of programme viewing. Spark launched its Lightbox streaming service in August 2014, while Netflix launched in March the following year. At the same time, the nationwide rollout of Ultrafast Broadband has provided better access to such services. That result is equal to the US and well above the worldwide average of 14 per cent, according to analyst firm IDC's ConsumerScape 360° report, which compares adoption of devices and digital services across 19 countries. In a turnaround from previous years where Kiwis lagged global averages, the report shows New Zealanders now leading many aspects of digital adoption. New Zealand consumers are among the highest users of Facebook, for instance, with 81 per cent of respondents using the site in the last 30 days, compared with the worldwide average of 74 per cent. The average New Zealand consumer now spends 56 hours, or 47 per cent of their average waking hours, a week on a digital device. They own, on average, 6.5 digital devices with 67 per cent of these being smart. "This year’s results show that New Zealand is now in line with other countries and in many areas ahead of the pack,” said Shane Minogue, research manager for telecommunications at IDC New Zealand. However, only 12 per cent of Kiwi consumers said they “always want the latest and greatest electronic devices”, compared to 23 per cent worldwide. “It appears New Zealand consumers will adopt digital services and tech if there is a desired use case. There is apathy towards new technologies and services where the benefit is unclear. "For example, just 18 per cent of New Zealanders surveyed said they used virtual reality more than once in the past year, compared to 38 per cent on average across all countries surveyed,” Minogue said. The survey covered 30,000 consumers aged 18 or older in New Zealand, Australia, Vietnam, China, South Korea, Japan, Russia, Poland, Turkey, Sweden, United Kingdom, Germany, France, South Africa, India, Brazil, Mexico, United States and Canada. 1400 New Zealand consumers were included in the survey.